Moonlight, a coming-of-age story of a young African-American growing up in inner-city Miami while coming to terms with his own sexuality, may not exactly seem universal at first. But its themes of identity, friendship, guilt and acceptance certainly are. Written and directed by Barry Jenkins, the film stars Trevante Rhodes, Ashton Sanders, Mahershala Ali, Alex R. Hibbert, André Holland, Naomie Harris and Janelle Monáe. 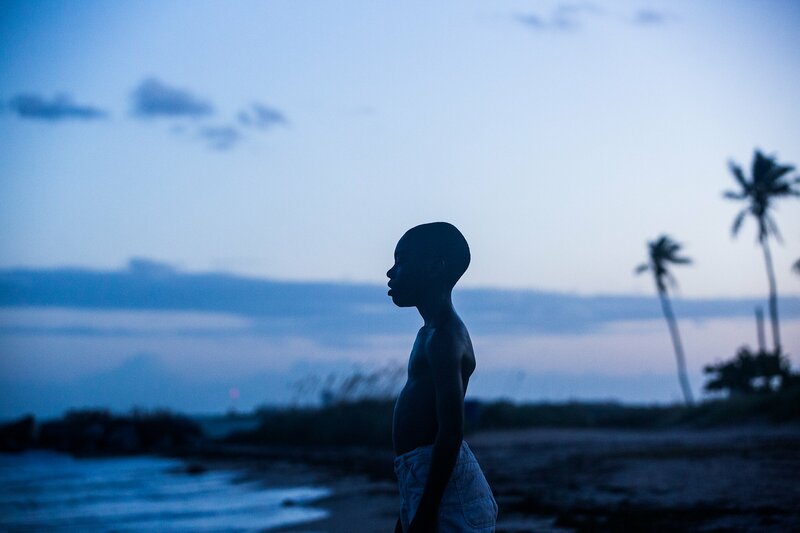 Based on the play In Moonlight Black Boys Look Blue by Tarell Alvin McCraney, the film has received universal acclaim and has been nominated for eight Oscars. “At some point, you gotta decide for yourself who you gonna be. Can’t let nobody make that decision for you.” This is the proverbial maxim in Jenkins’ modern masterpiece, Moonlight. The film chronicles its protagonist in three chapters of his life: the young “Little” (Hibbert), the adolescent “Chiron” (Sanders), and the adult “Black” (Rhodes). Those simple words of wisdom are spoken early on in the film by Juan (Ali, in a career-defining role), a kindly, if not modest, local drug dealer who befriends the often bullied and neglected Little. In fact, his enlightening words arguably set into motion the often painful process of self-discovery that our young protagonist undergoes throughout the film. Any lingering questions regarding the unlikely friendship between an older, genteel drug dealer and a quiet, reserved young boy are quickly made irrelevant in large part because of the instant, tender chemistry between both characters. Juan and his girlfriend Teresa (Monáe) quickly establish themselves as surrogate guardians, filling the emotional void left by Little’s erratic mother Paula (Harris)—a young single parent in the throes of drug addiction. When Juan angrily confronts Paula, asking, “You gonna raise your son?,” she defiantly shoots back, “You gonna keep selling me rocks?” There is a definite power struggle between these two parental figures. The middle chapter focuses on the emerging bond between adolescents Chiron and Kevin (Jharrel Jerome). While Kevin is reserved, mostly silent and continuously bullied, his friend is much louder, more boastful and much more confident. Their pivotal scene on the beach, under the moonlight, is perhaps Jenkins’ finest-directed one in the entire film—the dialogue is eloquent, the setting is serene and its conclusion is satisfyingly romantic.